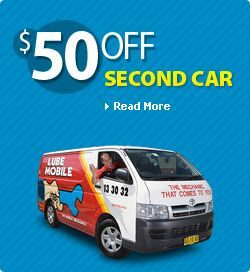 Simply a better way At Lube Mobile, we're so passionate about the importance of regular car services that we've based our entire business on making it easy for you to get them done. That?s why we work around your schedule and come to a location of your choice, so you never have to miss a service again! We stamp your log book as a record of service and only use quality parts and oils with fully qualified mechanics. To see when we can perform your log book service and get a quote online, please enter your postcode above and follow the directions. Hope we get you on board. You will be impressed with how easy it all is.